The novella is centered on Eddie Durante, owner of a speakeasy who's supported by his mobster uncle—the boss of the Durante family. Eddie is a young widower after his family's rival, the Caprice family, murdered his wife over a territory dispute. After devising a plan that retaliated against four of the rivaling capos, Eddie is left with the daunting task to try and move on. That is, until he's notified that the Caprices have put a hit man in the speakeasy—and Eddie's name is on the list. But things take an unexpected turn when Eddie instead starts to find the dead bodies of his relatives, the ones who had helped in the retaliation. For a novella, this story sure turned out to be full of action and surprises. In fact, it was so good that I read it in one sitting - I just couldn't put it down without seeing what came next. The action begins immediately and doesn't let up until the shocking ending. 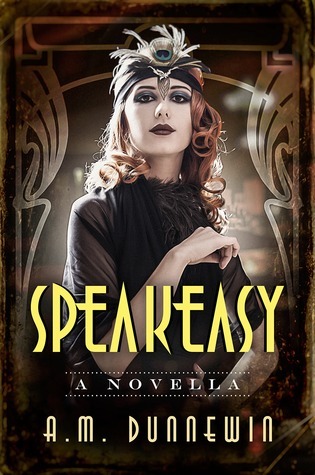 Set in one of my favorite eras (the roaring twenties) - the fact that all of the action takes place in a speakeasy made it all that much more enjoyable. Although the ending was a bit predictable, I still enjoyed the way the author carried it off. I would read more from this author, and I think those who enjoy a fast paced gangster story will enjoy this one as well.